Athletes have been able to leverage their role as a college football player for decades, but some student-athletes have been left trying to figure out life when the game is over. Former Auburn University offensive lineman and current ESPN SEC Network College Football Analyst Cole Cubelic believes that is where things need to change. In this Influencer (INFLCR) athlete ambassador interview INFLCR founder and CEO Jim Cavale chats with Cubelic about the relationship and role between conference, school and athlete off the field with topics such as player payment, insurance for life, bartering each other’s brand and using social media. Cubelic recognizes that when he graduated from Auburn in 2001 with a degree in communication studies and was hired on his first job interview in pharmaceutical sales. The hire was made because the guy knew Cubelic’s name as an Auburn starter, not because of his qualifications or grades in chemistry or biology – he never took those courses in college. “The platform that college athletes have gives them the capability to do things that regular students or other people who are not college athletes the ability to do after school,” Cubelic said. The key is learning how to use that platform, which has increased with social media. Cubelic says the amount of playing time doesn’t matter, if you’ve worn the helmet and jersey, you have a step up than the average person. One of Cubelic’s earliest memories of a student-athlete using social media to enhance his brand was the use of an ESPN live chat by then Virginia running back Tiki Barber (Watch Tiki Barber’s INFLCR interview) in 1996. Barber, who went on to play for the New York Giants, was one of a few nationwide to participate in the chat, which Cubelic believes helped increase his national name recognition. This was a time when a live chat was cutting edge, long before the days of Twitter, Snapchat, Instagram and Facebook. 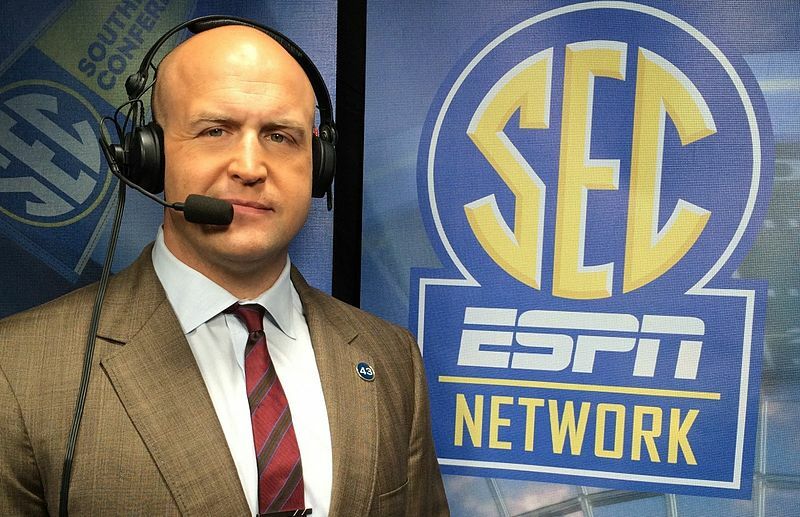 Today, Cubelic sees the value of social media use, especially Twitter, as host of a weekday morning radio show, The Cole Cubelic Show, and as a member of the ESPN and SEC Network broadcast team. Cubelic says he believes universities have a great opportunity to teach student-athletes about using their platform and how to use their various tools, especially social media. He believes providing that education through means such as Influencer (INFLCR) will provide a recruit edge for coaches. Listen to the full interview to hear more from Cubelic on these topics and the consumption of media. Follow him on twitter at @ColeCubelic. Follow him at @JimCavale on Twitter, Facebook, Instagram and Snapchat.